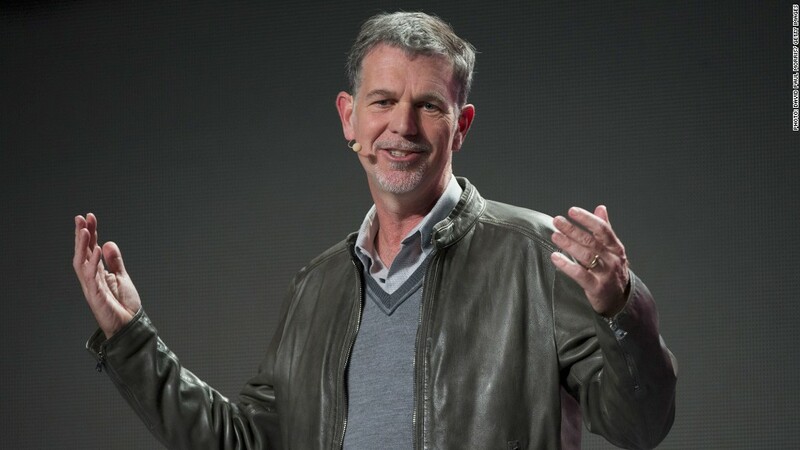 Netflix CEO Reed Hastings says big Internet service providers "are willing to sacrifice the interests of their own customers to press Netflix and others to pay." Netflix isn't backing down in its fight against the country's largest Internet service providers. Netflix (NFLX) CEO Reed Hastings sounded off Thursday against big ISPs like Verizon (VZ) and Comcast (CMCSA), accusing them of compromising Internet freedom and degrading the experience of consumers. Hastings' blog post is the latest salvo in Netflix's dispute with these firms over whether it should help pay the cost of delivering its data-heavy content. "Some big ISPs are extracting a toll because they can -- they effectively control access to millions of consumers and are willing to sacrifice the interests of their own customers to press Netflix and others to pay," Hastings wrote. "Though they have the scale and power to do this, they should realize it is in their long term interest to back strong net neutrality." "Net neutrality" is the principle that ISPs should keep all online content equally accessible. The issue flared up earlier this year following news that Netflix streaming speeds for customers of ISPs including Verizon and Comcast were slowing, as these firms attempted to extract a fee from Netflix in exchange for connecting directly to their networks and resolving the issue. Netflix announced an agreement with Comcast last month in which it will indeed pay for a connection, and has been in talks with Verizon as well. But Hastings said the company was engaging in these talks "reluctantly." "If this kind of leverage is effective against Netflix, which is pretty large, imagine the plight of smaller services today and in the future," Hastings wrote. "Netflix believes strong net neutrality is critical, but in the near term we will in cases pay the toll to the powerful ISPs to protect our consumer experience." Net neutrality advocates faced a setback earlier this year, when Verizon convinced a judge to strike down the Federal Communications Commission's regulations on the issue. The FCC is now attempting to craft new net neutrality regulations that will better withstand legal scrutiny. But the FCC's rules will only cover how ISPs treat traffic on their own networks; they don't address the issue of connections between networks, which is at the heart of the Netflix dispute. "The traditional form of net neutrality which was recently overturned by a Verizon lawsuit is important, but insufficient," Hastings said. "Without strong net neutrality, big ISPs can demand potentially escalating fees for the interconnection required to deliver high quality service." Given the massive amount of data consumption Netflix generates -- around a third of traffic online during peak hours -- the big ISPs argue that it should help foot the bill for delivery. But Hastings says Netflix is simply satisfying requests from the ISPs' customers, who pay steep monthly bills in the expectation that their content will be delivered at a certain speed regardless of where it comes from. In many places, he noted, consumers have just one or two choices for broadband Internet service. "The big ISPs can make these demands -- driving up costs and prices for everyone else -- because of their market position," Hastings wrote. Comcast vice president David Cohen said in a statement that the FCC's net neutrality rules were never designed to deal with paid connections between networks, "which have been an essential part of the growth of the Internet for two decades." "Providers like Netflix have always paid for their interconnection to the Internet and have always had ample options to ensure that their customers receive an optimal performance through all ISPs," Cohen said. 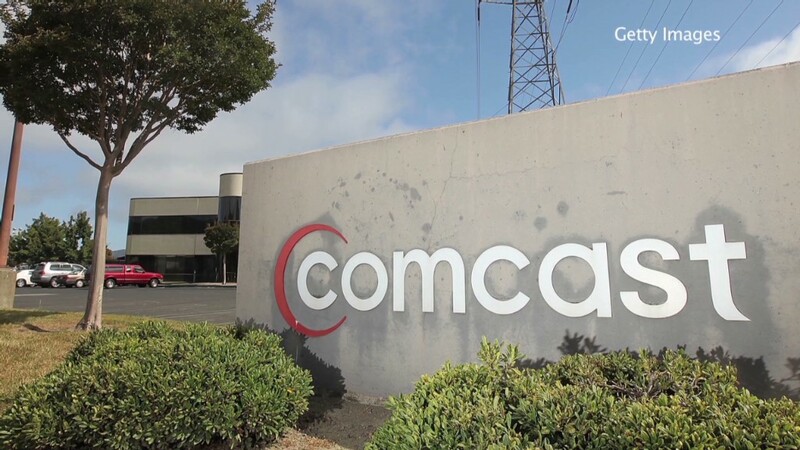 "We are happy that Comcast and Netflix were able to reach an amicable, market-based solution to our interconnection issues and believe that our agreement demonstrates the effectiveness of the market as a mechanism to deal with these matters." Verizon declined to comment; AT&T (T) and Time Warner Cable (TWC) did not respond to requests for comment.